Every homeowner wants a beautiful and green lawn. To get one, however, means that you have to be ready to spend time and effort watering your lawn. Imagine if you have a huge area! Perhaps this is the time that you seriously consider sprinkler system installation. An automatic sprinkler system will basically let you save time and spend it on other important chores at home. Here’s a list of the top benefits you’ll get when you finally decide to have a sprinkler system installed in your home. It provides convenience and little effort on your part. Yes, you don’t have to wake up early in the morning to water your plants. Not anymore. Sprinkler systems have timers which you can adjust or set on a particular day of the week, and at a certain time, too. No more dragging hoses from one place to another, either. Now you get to enjoy some alone time or spend the day with your family and friends. It gives your home an attractive look. There will be instances when you won’t be able to put the hose you used away, especially when you’re in a hurry. Not only is it time-consuming, but it also requires so much effort to drag the hose all the way to where you keep it. Leaving the hose stretching all across your lawn is definitely not a pretty sight. A sprinkler system basically includes a sprinkler head that just pops up when watering the lawn and just disappears when done. It provides safety to your family members. When you leave the hose lying around all the time, it becomes a hazard for your family members, especially the little kids. Your kids and pets would like to run around the yard, too, but with that long hose across it, they might trip and hurt themselves in the process. Create a safe environment for them by installing a sprinkler system. It waters your lawn with the right amount and at the perfect time. 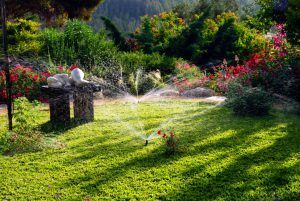 Studies show that for efficient absorption, you need to water your lawn rather early in the morning. Unless you’re willing to wake up that early, getting a sprinkler system can give you that benefit since you can set the timer according to your lawn’s needs. Manual watering would most likely result in over-watering, too. Most sprinkler systems today have sensors to know when the soil needs to be watered and even the amount of moisture required. Aside from water efficiency, you can actually save hundreds or even thousands of dollars from water bills in the process. 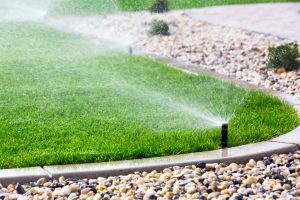 Now that the optimum benefits have been laid down before you, it’s time to contemplate when to get your own sprinkler system installed. Of course, there are many DIY projects available, but the process involves more than just your guts and effort. It takes skills and knowledge that only professionals have. From inspection to design and determining what type would work for your lawn, it’s always better to trust the experts.